Vocational Higher Secondary Education in Kerala is at crossroads, which forced the C.P. Nair Committee on KER reforms to recommend that it is irrelevant to conduct Vocational Education at the Higher Secondary level. Having completed a quarter of a century in its march, it still fails to create an impact upon the Higher Secondary Education at large. Cutting across the spectrum of Higher Secondary Education we find that it neither caters to the goals of traditional education nor to the Vocational education since it is an amalgam of both. In a state like Kerala where the people are highly enlightened, Vocational Education in the strictest sense will not be accepted unlike in the other states of India. In order to provide vertical mobility in Higher Education, traditional subjects are also included in the syllabi along with the vocational subjects. But the quality of vocational education is being compromised and the authorities fail miserably in updating the courses in accordance with the courses of modern times. It is at this backdrop that the Non Vocational Lecturers Association has undertaken the task of conducting a Survey which reveals some shocking facts regarding the very conduct of the VHSE in Kerala. In the light of the various findings we discussed the issues with some of the eminent academicians of Kerala which included teachers of Technical and Arts colleges, teachers of both Higher Secondary Education and Vocational Higher Secondary, Computer professionals, media persons, legal experts, medical experts, job consultants and so on, and the end product is this booklet. The Vocational Higher Secondary was implemented in the State in the year 1983-84, with its declared vision “to make available skilled, trained and competent workforce in middle level blue collar job market which will stimulate the economy and lead to increased productivity and faster development in all areas of the society.” But in the present scenario it fails miserably to cater to the needs of the job market or strengthen itself as an effective system of education which could attract the student community at large. In this backdrop the Non Vocational Lecturers Association conducted a survey which revealed the reasons for the unpopularity of the course which are manifold. Courses are not updated to match the job challenges of the modern globalized world. At present VHSE fails to act either as a strong foundation course or as a strong basis for self employment/career. The survey revealed widespread discontent among the teaching fraternity and student community regarding the syllabi and conduct of the VHSE in Kerala. Nearly 95% of teachers interviewed were of the opinion that the vocational syllabus reform is highly pertinent. 74% of the students opted VHSE since they were unsure of making it to the HSE. 82% of the students were unaware of the prospects of VHS courses. Around 72% of the parents are in the dark about the courses and their prospects. Physical Education has not yet been a part of the mainstream VHSE, though there is a course exclusively for it. Lack of qualified persons to conduct academic supervision in schools as the Headmaster of the High School is given full additional charge of Principal. Recognition problem with various Universities outside Kerala. Names of the existing courses such as MRRTV. Clothing and Embroidery, MRDA, MRTT etc mislead the community at large to believe that the syllabus covers just the titled areas alone. The vocational syllabus does not cover important core areas related to the concerned subject and its new developments. The syllabus of the General Foundation Course has to be modified as to incorporate more relevant areas. PSC recognition has to be ensured to all the VHSE courses so as to make the course more appealing in terms of job prospects. Despite having highly qualified teaching faculty (engineers, veterinary doctors, dentists, lab technicians, computer experts etc) the quality of education is not up to the mark due to the inadequacy of syllabus, especially in the Vocational area. Syllabus of Vocational subjects: Vocational content should be strengthened by making the students undergo training in four core areas in the concerned paper – two in the first year and two in the second year. The syllabus has to be designed by experts in the concerned field. Academic Supervision: Lack of competent persons to perform the Academic Supervision is a matter of grave concern in the VHSE. As the school Head master (who doesn’t possess adequate qualification to be a VHSE teacher and thereby also fails to command the respect of the VHSE teachers) is redesignated as principal at present in the VHSE, academic supervision is being compromised. Thereby, the quality of education is also compromised. So, the senior most qualified teacher from the VHSE may be appointed as the principal to ensure proper academic supervision. Renaming of Courses: Instead of confining to the repairing or maintenance of equipment, the area it covers would be a better title as in the case of engineering subjects. E.g. Electronics, Automobile, Mechanical, Civil, Fashion Designing etc instead of MRRTV, MRA,MR2W&3W, MRDA,CCM, Clothing & Embroidery etc. Syllabus of GFC: General Foundation Course should be converted to a Vocational paper since it aims at creating the right sort of aptitude for a job. At present, there are only two periods per week for GFC, which should be made four/week. (Thereby the GFC teachers too would be eligible for a scale of pay, which is sadly being denied now.) Currently Entrepreneurship and Environment are the only two papers included in it. Soft Skill Development Programs (GD, Seminars, and Presentations etc), Personality Development and Professional Management should also be included. PSC Recognition for all Vocational Courses: Out of the forty two courses conducted by the VHSE only thirteen courses have got the recognition of the Kerala Public Service Commission. The recognition has to be extended to all the courses so as to make it more appealing and utilitarian. Concurrence of other departments has to be attained to fulfil this long cherished dream, so that the Public Service Commission will consider VHSE as one of the basic qualifications for a job in the concerned field. Timetable: The ideal attention span of students is 40 – 45 minutes. Currently each period is of one hour duration. If the duration of each period is shortened to 45 minutes each, as in the Higher Secondary Education, there is the feasibility element as well as convenience for different subjects to get adequate time. The present timetable does not contain adequate leisure time and the students find it very difficult to cope with. Physical Education: Physical Education has not yet been a part of the mainstream VHSE, though there is a course exclusively for it. As per the new policy of the Government it has to be included in the curriculum. For that the existing timetable has to be rescheduled. Recognition for VHSE Courses by all Universities outside Kerala: It is claimed by the Vocational Higher Secondary department that it has got the recognition of the Association of Indian Universities, the apex body which recognizes the various courses conducted by the Universities in India. But Universities like MGR University, Tamil Nadu, Rajeev Gandhi University of Health Education, Karnataka and some other Universities still fail to acknowledge VHSE of Kerala as an equivalent of Higher Secondary Education. So it is high time the Government took steps so as to resolve this issue as it badly affects the reputation of the courses. Excess Workload for a Section of Teachers: In schools where there are three or four courses in Science, Physics, Chemistry and Biology teachers already have a workload of 24 hours per week. When it is converted into periods of 45minutes duration, their workload will go up to 32 periods per week. Twenty four hours per week is unscientific as far as the workload of a teacher is concerned, especially under the grading system. To improve the quality of education to the desired level, fresh appointments will have to be made to streamline the workload and increase productivity. The existing workload of 24 hours per week itself is an overburden for those who handle it. To bring out the best of any system of education, the quality has to be ensured through academic measures which primarily consist of having enough time and competent faculty who are not under the duress of excess workload. Computer Education: For the existing courses in the Group D (like Accountancy and Auditing, Office Secretary Ship, Group Insurance, Marketing and Salesmanship, Banking Assistance, Reception, Book keeping and Communication), typewriting and shorthand are the areas specified for practical work related to the vocational content. It is absolutely nonsensical to conduct such practical work as typewriting and shorthand as it has given way to modern job opportunities in the field of computers. Instead, the basics of computer has to be taught like MS Office, Internet etc, which will be an added advantage to the students. Lateral Entry into Polytechnics: VHSE pass outs have a 2% reservation for admission to the Polytechnics of Kerala. It is desirable to allow lateral entry for the VHSE pass outs to the Polytechnics of the State as in Tamil Nadu, so that more students will opt for VHSE as a window to technical education. Reservation for admission to courses like B.Sc. MLT, B.Sc. Agriculture etc: At present VHSE pass outs have a 5% reservation to B.Sc. MLT courses under the Mahatma Gandhi University. It should be extended to all the universities in Kerala. It will be advantageous to give this benefit to B.Sc. Agriculture Course as well. Traditionally the purpose of education was not related to job. It was just building up on the knowledge/acquisition of knowledge/a process of getting enlightened. Later, by mid 20th century, the focus shifted to jobs, i.e. education leading to jobs. But one had to wait for a very long time for vocational courses to appear at the Higher Secondary level before people turning to professional courses. Some people still have a doubt whether age 15 is the right time to embrace a career oriented course. Probably the current vocational courses are still run on an experimental basis. Despite having been operational for nearly two decades, it still caters to the job requirements of the 1980’s. No systematic study or survey has been conducted to assess the job placement factor. That is why we are now seriously thinking of contextualizing these vocational courses for making it more vibrant and meaningful. The Higher Secondary level education today runs on the basis of a three-way division into Science, Humanities and Commerce. Even vocational courses follow this pattern by bringing in one so-called vocational paper to give the course the touch of a career. This is not the way vocational courses have to be designed. A vocational paper is simply used as a supplement to the mainstream course. The reason why vertical mobility is projected as the advantage is sheer convenience and to a certain extent a measure of escapism. Students after the vocational course technically have the freedom to choose between further study of a mainstream course, further study in a compatible technical-professional course or direct entry into a career. The third option is totally irrelevant as nobody appoints the vocational Higher Secondary School products in responsible career positions. There are no direct placement options available at present i.e. no campus interviews are done in Vocational Higher Secondary Schools by companies. For the second option – professional course – students prefer a regular +2 as all the competitive exams are based on the CBSE, ISC, State Syllabus regular course. Here again vocational courses put such career aspirants e.g. nursing, medicine, engineering etc at a disadvantage. Regarding the first – Vocational Higher Secondary is not at all needed as these students would have to continue with mainstream education, taking up Degree courses in Arts & Science colleges, possibly with a view to secure a government job after writing UPSC, PSC examinations. This is the background at which one tries to revamp the vocational system to make it attractive and market oriented. 4. Self employment or agriculture. When courses are designed, the curriculum planners should keep in mind the end career rather than the means to any career. At present by offering three regular papers from among Mathematics, Physics, Chemistry, Biology, Commerce, Accountancy, Business Studies, Management, Economics, History, Politics etc and one vocational paper, the exposure of vocational content is marginalized with a low weightage of only 25%. Vocational content should be selected by schools from the long list of such courses provided by the Vocational Higher Secondary Directorate. The existing seven Regional Directorates should fall within three geographical zones. At zonal level the schools must be in a position to select the vocational course based on local demand, core competence of the school and general convenience. Accommodation of teachers should not be the criterion for the selection of vocational courses. Also, the retention of teachers engaging regular subjects should not be the prime criterion. Instead, the enquiries coming from students and teachers should form the basis for such a selection. For instance a school located in Kuttanad should be an ideal candidate for a vocational course in agriculture and farming with special emphasis on paddy cultivation. Similarly, a school in the rubber belt can also choose a similar course with rubber cultivation as one of the career options. Here agriculture can be the third vocational area and paddy cultivation/rubber cultivation, whichever the case may be, can be the fourth area. Following the same principle, the urban schools may choose technical/professional aspects for third and fourth areas. And semi-urban centres can try ITI/ITC like courses in carpentry, masonry, plumbing, electrician, draftsman civil, aluminium fabrication, and other construction related course. Any area can choose any course, depending on the above mentioned criteria or pressure from the parents and students to undertake a particular plan of study. Accordingly, the courses available may be divided into four categories as mentioned above. The details may be as follows. This discussion covers the areas perceived as the promising sectors. These four divisions include all the existing nine branches under which VHSE is presently designed. The above mentioned 4-fold classification of Vocational Programmes will be effective only if the students after Standard X receive a proper orientation that will equip them to select the right kind of course based on their real aptitude. This illustrates the need to have a brief Foundation Programme lasting for 3 or 4 weeks after the school final examinations. Those opting for such a course provided by the State Government in select Higher Secondary Schools (both Vocational and General) should receive relevant counselling to identify their core competency, natural inclination and general aptitude. If this exercise is not carried out, the proximity to the school rather than the aptitude for the course that will bring the students to the Vocational Higher Secondary Schools. This will be a sure recipe for total disaster of the Vocational Schools. Therefore the need of the hour is a filtering mechanism to orient the career aspiring students in the right direction and a properly designed curriculum. In order to help the aspiring students as well as the parents to identify the most productive course having immense job potential, it may be recommended that the state government after a survey publish a list of courses that will ensure adequate, sustainable job prospects. The schools as well as the candidates can take it as a guideline in starting/choosing a course of their liking. This will help the Vocational Higher Secondary segment retain its vibrancy in the changing times. The Non Vocational Lecturers Association have also undertaken a study of the present timetable and found it unscientific to the core. We found that the present timetable does not contain adequate leisure time and the students find it very difficult to cope with. Kindly go through the following model of timetable which allows adequate leisure time as well as enough time for each and every subject. The ideal attention span of students is 40 – 45 minutes. Currently each period is of one hour duration. If the duration of each period is shortened to 45 minutes each, as in the Higher Secondary Education, there is the feasibility element as well as convenience for different subjects to get adequate time. Physical Education has not yet been compulsory for all courses of VHSE. As per the new policy of the Government it has to be included in the curriculum. For that the existing timetable has to be rescheduled. The following is a model of the time table we propose. We presume that it is feasible and provides breathing space for students of VHSE. A model timetable for a class is given below (Proposed). Vocational Theory has been allotted eight periods per week. It is desirable to have equal number of periods for practical as well (i.e. 8 per week). The remaining two periods currently shown against Vocational Practical can be utilized for Physical Education. To give due emphasis to vocational education, eighteen periods per week have been allocated exclusively to vocational subjects, whereas all other major subjects are given eight periods per week. These eighteen periods are split into eight theory periods and ten practical periods. General Foundation Course (GFC) is at present allotted two hours per week in each course. It has to be made an important subject by strengthening its syllabus and allocating more periods to it. Even those who were appointed by the PSC as GFC teachers are denied scale of pay by citing inadequacy of work load. Since GFC is part of Vocational Education, its syllabus has to be revamped by including papers other than Environmental Studies and Entrepreneurship. Banks on the ideal attention span of students. 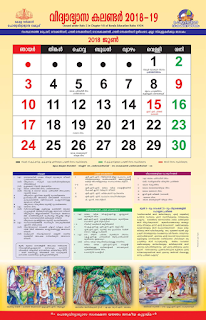 At the time of finalization of the Vocational Higher Secondary Special Rules, fifteen periods per week was considered to be the criterion for a full time post. But many of the teachers couldn’t make it as they have only twelve hours per week, though it is the equivalent of sixteen periods per week in the Higher Secondary Education. So, if the timetable is modified such that each period has duration of 45 minutes, the issue of the workload can also be solved, as the teachers will have at least sixteen periods per week. And no further appointments will be needed as a teacher can manage up to a maximum of twenty four periods per week. GFC teachers are better accommodated by making it an important subject and allocating it more periods per week. The relevance of GFC paper is enhanced. The basic principle of education is that a sound mind exists only in a sound body. More than that the sports activities enhances the overall enthusiasm of the students which will naturally be transformed into their academic performance also. So Physical Education has to be included in the curriculum. The timetable we have proposed ensures uniformity in the sense that it allows all the important subjects to have eight periods per week. It deals with the lack of uniformity in allocation of periods. VHSE should be converted to a meaningful and effective course by restructuring its syllabus to meet the demands of the modern job market and thereby making it either a strong foundation course or as a means to career or self employment. Vocationalization of education is a concept accepted world over. In other states of our country the course is being conducted without traditional subjects like Arts, Science and Commerce. When it comes to Kerala, a state with highly enlightened people, it has to be conducted in a different manner. It has to be modified according to the demands of the modern globalized world. Curriculum revision is the need of the hour. Since it is too demanding for the students to undergo an in-depth study in the proposed Vocational papers, it is desirable to have a study of the basics of the concerned papers, so as to meet the goals of Vocational Education.